Hit & Run is a series of standup comedy open mics organized by Youcomedy. Open mic is a platform where some regular comics perform their new and old material. 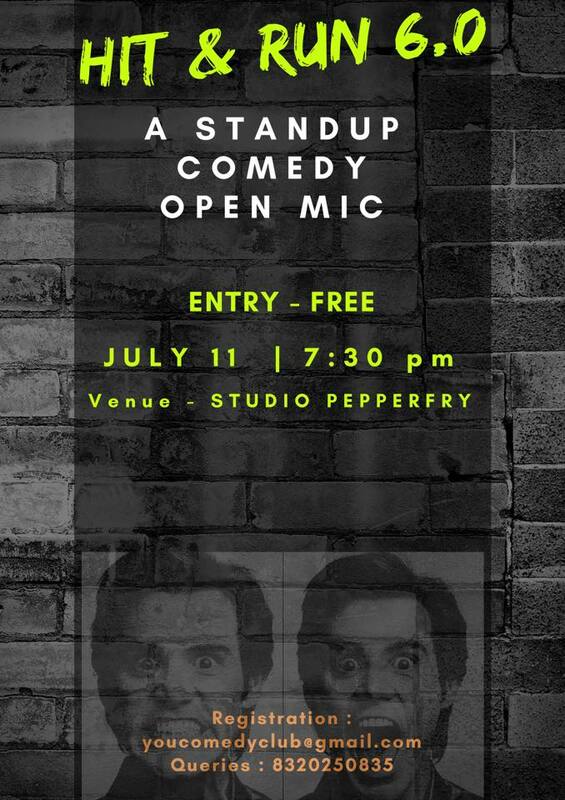 There’ll also be some first-timers who’ll be trying standup for the first time. so come and see how jokes are created. Registrations accepted till 4th july. Confirmations will be sent on or before 6th july.